The background papers are from a World Traveler collection from DCWV. The letters are doodlebug. 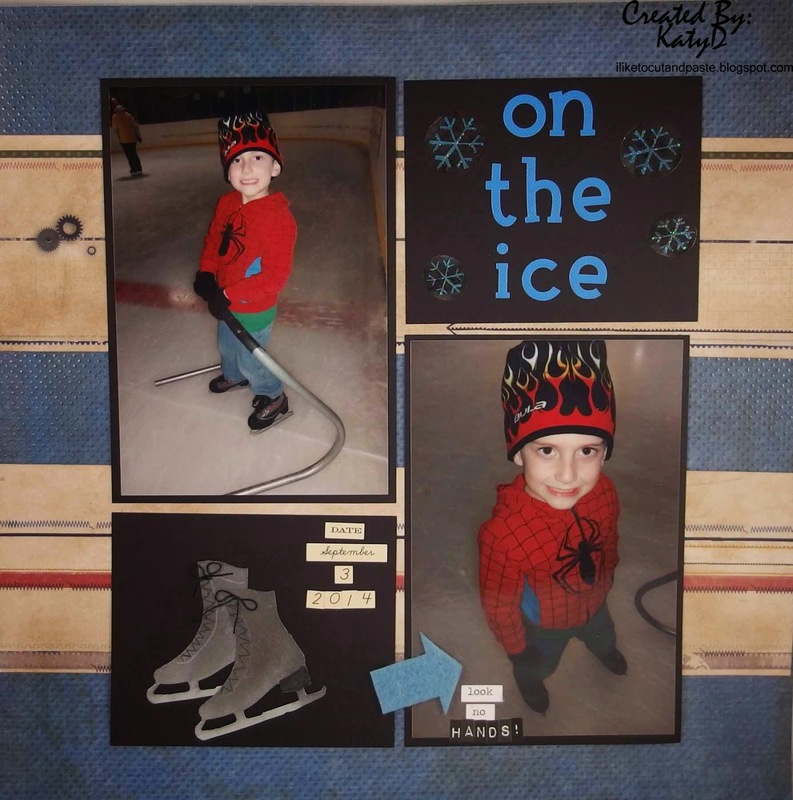 The ice skates are Tim Holtz die cut on a silvery cardstock. I used black soot d.i. to make them darker and added pen lines for the laces. The bows are a strand of embroidery string. There is still time to play-so if you are inspired, come on over! Thanks for stopping by! Until next time my friends--have a great night! WOW! Love that fire flame hat! A very striking page Katy, love how you've used the sketch and pleased it got your mojo going. Thanks for sharing at The Memory Nest. Gorgeous! 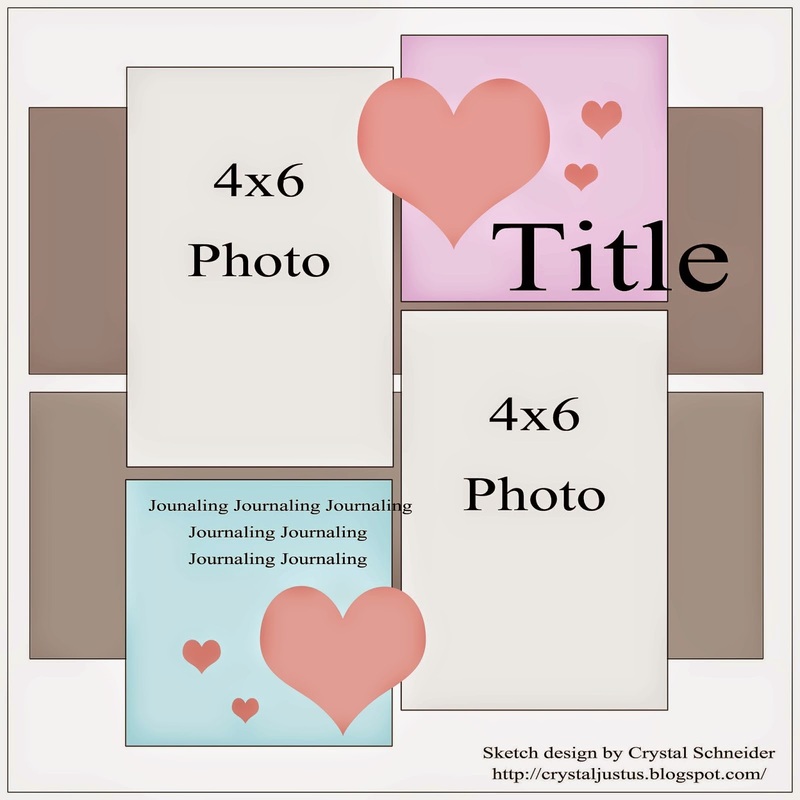 LOVING the colors and the grid design!!!!! So happy that we were able to inspire you!!! LOVE your take on the sketch. Adorable photos and a CAS design!!! Thanks for playing along with us, Katy!! So happy you found your mojo!! Sweet photos, LOVE the skates and your take on the sketch too! Thanks for playing along with us at the Memory Nest Blog! !